Really this needs to come before you do much of anything. Really understand the buying patterns for your product or service and then analyze that group so that you know how they consume information and from where as well as who they trust and their buying behavior. This will help you drive the rest of your content marketing strategy. Spend the time creating a profile of your personas (aka: target audiences). This is a bit of a brain bender, but your website isn't about you. Well, technically it is, but the way you present information to your visitor should not be about how awesome you are. It's about how you will solve a problem that the target audience regularly encounters. You probably learned a lot about their problems in the persona development process. Now you can apply that knowledge to the way you create content on your website. Remember to speak in plain terms. You won't increase your leads by using bigger words. 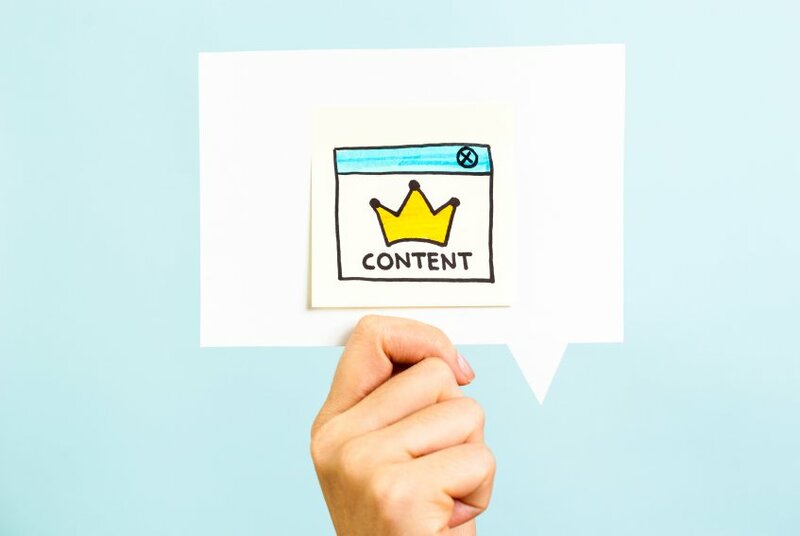 You'll increase leads by having clear and concise website content that explains things the way your visitors need to see it. There is a rather precise combination of activities that you need to be rank high in Google search results. We know that one of the primary things Google looks it is your content. Is it original to you? They'll also look to see if they can understand what your site is about. If it's about lightbulbs, but you only use the word bulb rather than lightbulb, you'll never rank in Google for lightbulb. Instead you'll get throw in with search results for tulip bulbs and any other bulb-related phrase. Original text that hasn't shown up on anyone else's website using the same exact wording. Google will know if you've copied and pasted! Create website videos, whether it's a commercial or a company overview. Try to tell a short story about your company's value in 60 seconds or less. Blog posts can be long or short, as long as they are helpful. Be sure to use your most important phrases so that it will help you show up for them in Google search results. This is part of your website SEO process. Downloadable, free content that will help visitors trust that you know what you're talking about and make them more likely to choose you in the future. You're not going to give away the store. Just some easy-to-read information related to what you do that will be considered really handy. Read more about what to give away. You also need new content on a rather frequent basis. It's not good enough to create a great looking website with original content and then never touch it again for 6 months. Google will think you don't care about it anymore and probably not consider you an authority on your subject matter. Think of things you can do to keep the content original AND fresh. Updates every week would be good. Every day would be better. If you'd like to learn more about it takes to make your website a successful, lead-driving machine we can help. Download a free booklet on how you can change the way you work on your #1 lead generating machine.